Theodor Heberlin Jr. 1843-1910 Geigenmacher in Markneukirchen. Theodor Heberlin Jr. 1843-1910 Geigenmacher in Markneukirchen. Fire branded internally and on the back of the violin. It has a one piece slab-cut back. 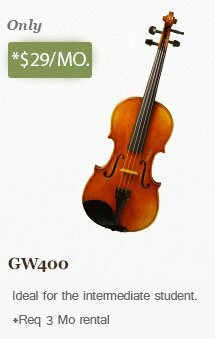 It is a Guarneri model violin. The tone is on the darker side, but rings beautifully, and remains well balanced throughout all of its registers. The violin blends well with other instruments, but remains versatile in all situations.